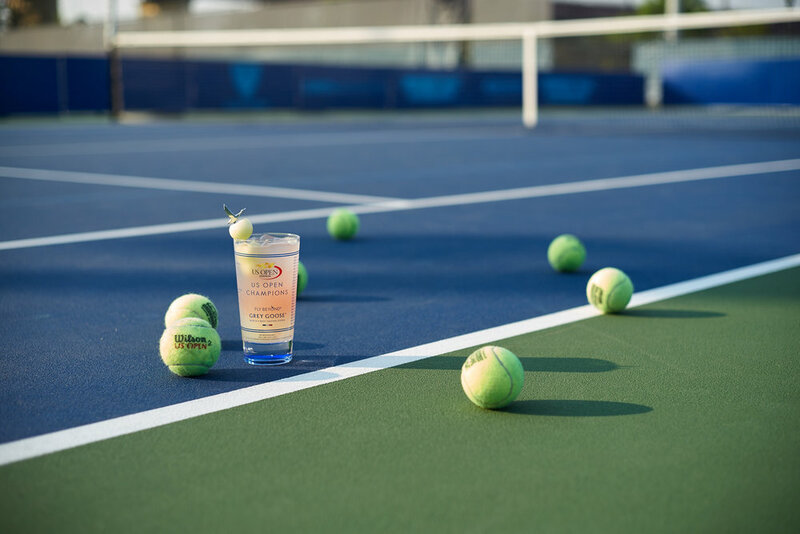 TO HIGHLIGHT GREY GOOSE’S LONG STANDING PARTNERSHIP WITH THE US OPEN, H&S MADE USE OF MANHATTAN TURNING IT INTO A MASSIVE TENNIS COURT AND CREATING THE “WINNING SHOT” PROGRAM DRIVING ENGAGEMENT. H&S was tasked with creating a 360 program focused on driving volume and creating meaningful engagements for the GREY GOOSE’S largest and longest standing partnership, the US Open. GREY GOOSE turned the Manhattan grid into a massive tennis court and threw a legendary after-party following the last three matches of the US Open. The celebrated “Winning Shot” from each day session was used in coordination with the grid to announce the parties’ locations, which took place at chic hotels and high-end bars across the city. H&S enlisted Andy Roddick as a partner, as a means of also driving attention and conversation around GREY GOOSE and pre-seeding the high-context “Winning Shot” program to press.